Jill is one of a passionate band of international geneabloggers. In this session she will introduce you to the world of genealogy blogs. After explaining the purpose and mechanics of blogging she will outline the types of genealogy blogs and highlight why you should read or write them. During the session we will examine a range of beaut blogs from all around the world. Jill will then show you how to find and access blogs and give you guidance on starting a blog. A former librarian, teacher and IT specialist, Jill (aka GeniAus) Ball, is an amateur genealogist and grandmother of 12 from Sydney, Australia. Family is important to Jill who has been chasing her ancestors for thirty years and, in retirement, devotes every spare moment to genealogy activities. She is particularly interested harnessing technology for family history. Jill has presented at international, national and state education, IT and genealogy conferences and enjoys sharing her knowledge in face to face and online presentations. She has represented Australia as an Ambassador at each RootsTech conference. 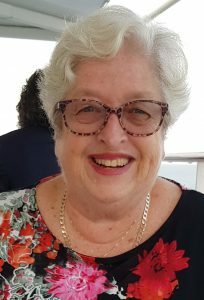 Closer to home she serves on the Education Committee of The Society of Australian Genealogists and is an organizer of The Hornsby Shire Family History Group. On three occasions Jill has been voted by fellow genies as Australia’s Gold Genealogy Rockstar. Jill is active on multiple social media channels. She shares her enthusiasm for social media, technology, and genealogy through her blog GeniAus (geniaus.blogspot.com), Facebook page (https://www.facebook.com/geniauspage/) and website (www.geniaus.net). Excitement about attending and presenting at THE Genealogy Show is growing for Jill who is honoured to be part of such a super program.